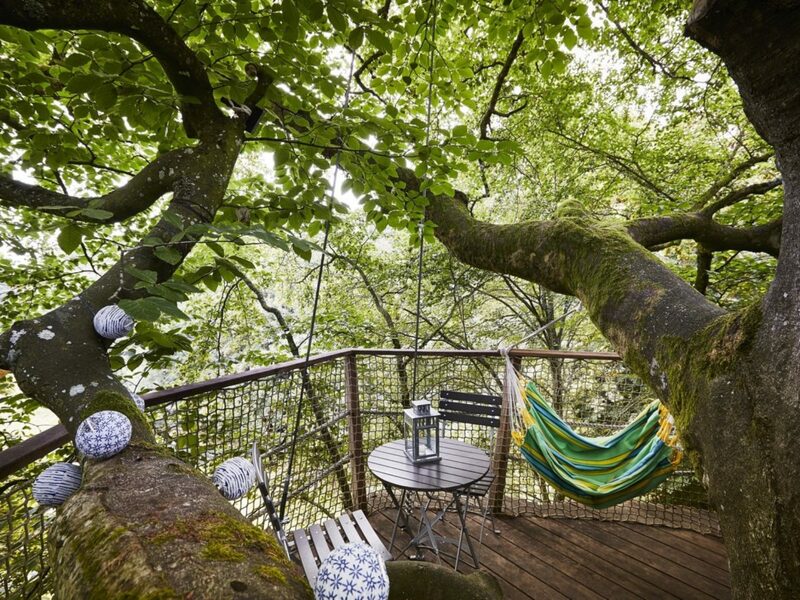 Treehouse in the Jungle. 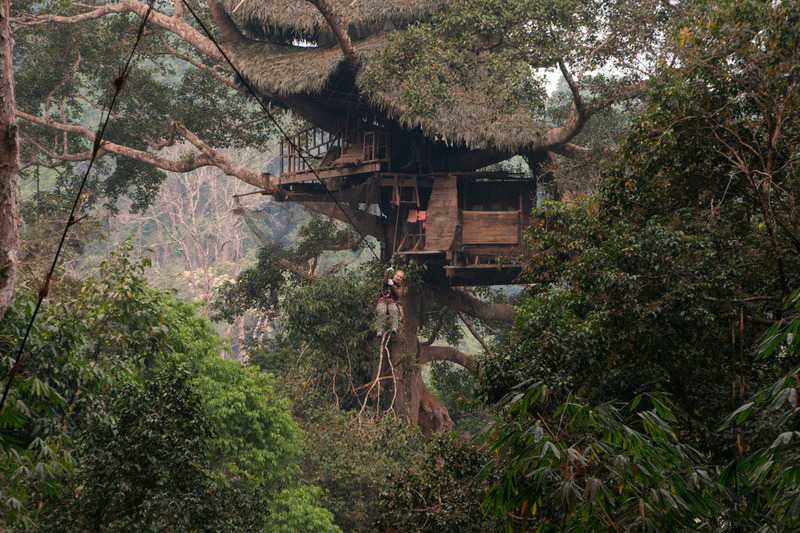 One of many huts in the trees built by the team Animo and local people at the Gibbon Experience in Laos. 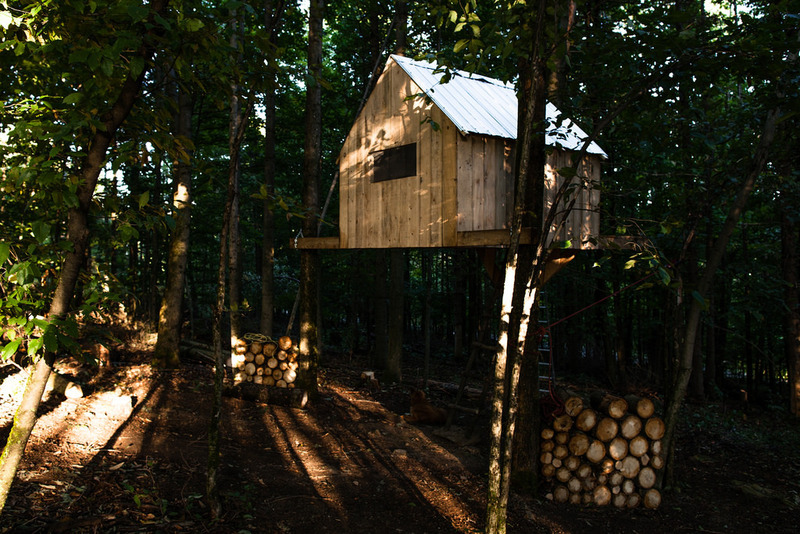 The treehouse has enough space to accommodate up to 8 people, a kitchen, and even a shower with water. 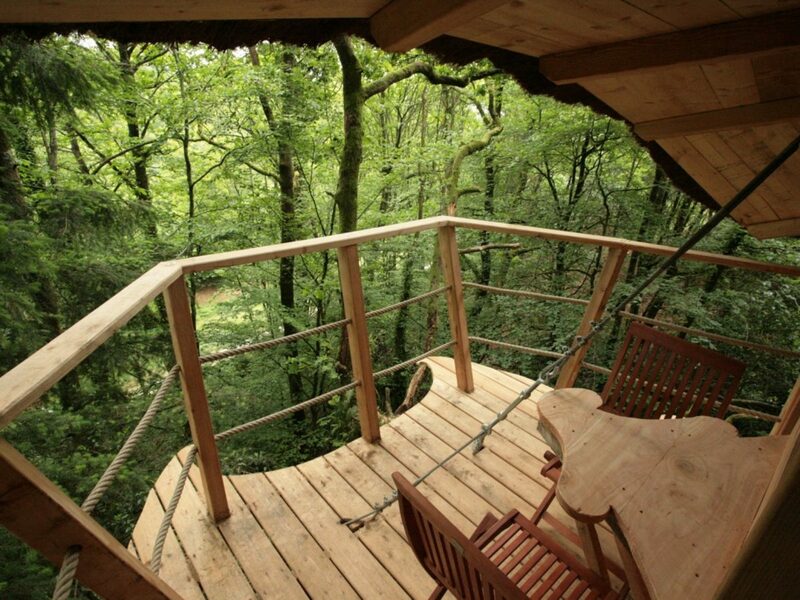 All the treehouses are built 50 meters above the ground and connected by zip-wires. Located in Bokeo Province, Laos, Asia. The Gibbon Experience is an eco tourism concept. Most of the profit from accommodations go to the preservation of the Rainforest and the beautiful animals Gibbons.